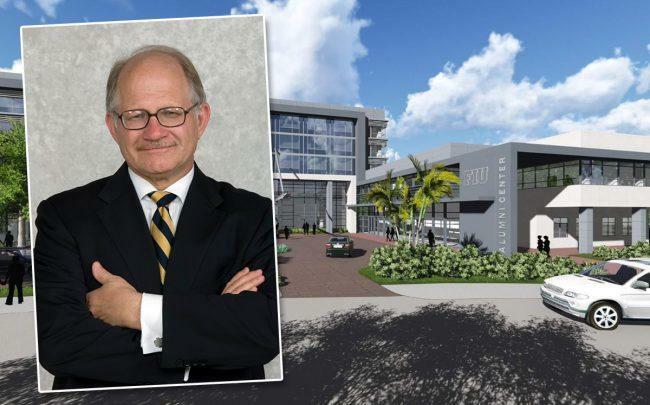 FIU will build a hotel, alumni center and conference center on its main campus as part of public-private partnership. The $66 million project in Sweetwater will include a 13,700 square-foot alumni center, 33,000 square feet of meeting space and a 150-bed hotel. It will be privately funded, and is expected to open by the fall of 2021, according to a release. The meeting space will host academic, research, and professional conferences as well as special events and tours. Concord Benchmark is the developer, Rabun Architects is the architect and Moss & Associates will build the on-campus project. The Trustees of the Internal Improvement Trust Fund of the State of Florida have to approve the project before construction can begin. The project will be across the street from a 7-acre property being built by Global City Development. That development will accommodate about 2,300 students in two 20-story towers. A third tower will provide housing for faculty and staff, along with several hundred thousand square feet of commercial space. Global City raised nearly $228 million in bond financing to complete the project, which was planned as student condos and later converted to rentals. Concord Eastridge’s other projects include a 23-acre former Fredericksburg Park & Shop retail center in Fredericksburg, Maryland. It’s also constructing a $55 million campus center for the University of Mary Washington.